She was my childhood idol. Whereas my other friends would be jabbering about Hilary Duff (I didn’t have cable back then so I actually had no idea who she was), I would be the one quietly admiring not the Lizzie McGuire starlet, but instead the girl that acted as a pair of twins, the girl who’d switched bodies with her mother on a freaky Friday, the girl who’d won Spring Fling queen: Lindsay Lohan. In the fourth grade, I remember wanting to watch and own every single movie that she starred in. I loved the characters she played, and there was just something about her that made me idolize her. As a young child, I had little to look up to. When asked who my role model was, I would always take time to ponder about it, confused. Who did I consider as my role model? I was so blind to the question back then. Only now have I realized that my role model back then had been, undeniably, Lindsay. Of course I drifted away from her as I grew older. I distinctly remember how I’d stopped watching her movies around her Just My Luck era. I also remember seeing a poster of Georgia Rule at the mall and thinking that I should watch it, but I never did. Around my middle school years was when she started getting in trouble with the paparazzi, the law, with drugs. It was the start of everything that would make up the “trashy and drug-addict” image of Lindsay that everyone sees today. In middle school and halfway through high school I’d always assumed that I’d run into her again, unconsciously waiting for her next blockbuster film. She’ll get over this phase soon, I hope, I’d thought. Meanwhile, Miley Cyrus, Selena Gomez, and Demi Lovato had taken over the television screens. 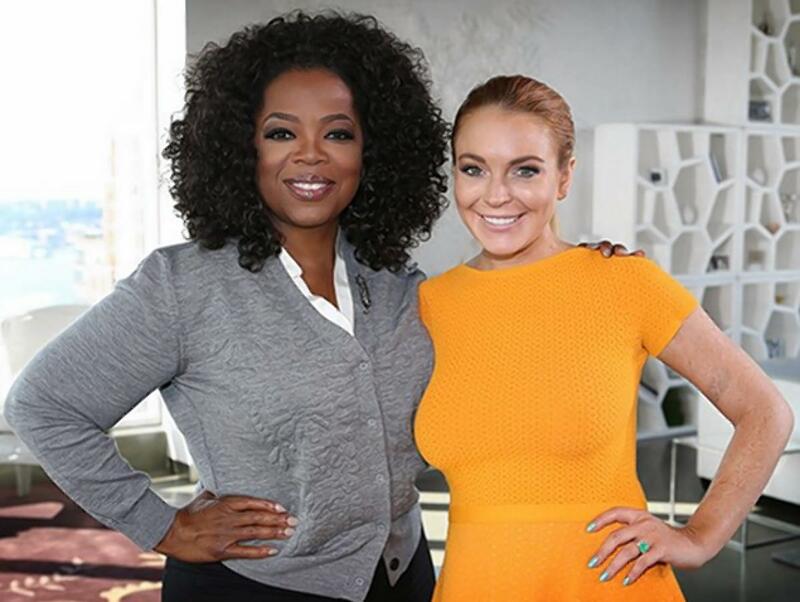 For a long while, I forgot about Lindsay. That is, until her interview with Oprah. I watched every single minute of it, holding my breath the entire time. She looked so thin, so fragile and vulnerable. I took notice of how mature she looks now, although her signature smile, red hair, and freckles were all still there. “I want you to win,” Oprah said to her. I want you to win too, Lindsay, I thought to myself. I am still waiting for her, waiting for her to win. I want to see her name in all the glitz and glamour, for her to have theatrical releases all around. I think about drug-related celebrity deaths like Brittany Murphy and Amy Winehouse and pray to dear God that the same doesn’t happen to her. Every now and then, I would put on a movie of hers and would take notice of how diverse her acting skills are, how hopefully, all the talent is still there. A friend had once asked me, “Whose death would you be really sad about? Not including family members.” I thought about the question, because if not my family members of course then I would pick my friends. However, I figured that was too obvious. “Lindsay Lohan,” I answered. And that is one of the smartest answers I’ve ever given. Want to give Lindsay a try? My personal favorites from her are: The Parent Trap, Get a Clue, Freaky Friday, Confessions of a Teenage Drama Queen, and of course Mean Girls!